The ancient toe from a human relative in South Africa could have important implications for modern medical research. In the fossil-rich region of South Africa known as the Cradle of Humankind, scientists have discovered the earliest known case of one of the world’s most deadly diseases. 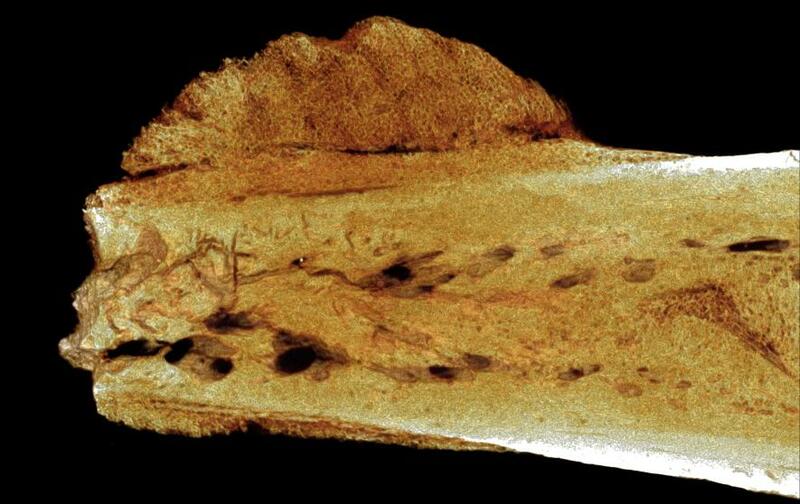 Using 3-D imaging, the researchers have diagnosed an aggressive type of cancer called osteosarcoma in a foot bone belonging to a human relative who died in Swartkrans Cave between 1.6 and 1.8 million years ago. The discovery—which has just been published in the South African Journal of Science—suggests that, while modern lifestyles have increased the incidences of cancer, especially in industrialized countries, the triggers for the disease are embedded deep within the human evolutionary past. “You can opt for the paleo diet, you can have as clean a living environment as you want, but the capacity for these diseases is ancient, and it’s within us regardless of what you do to yourselves,” says study co-author Edward Odes of the University of the Witwatersrand. The precise origins of cancer have been a source of debate due, in part, to the scarcity of historical evidence. Possibly the earliest reference to the disease is attributed to the great Egyptian physician Imhotep, who lived around 2600 B.C. In his writings, Imhotep describes an affliction characterized by a “bulging mass in the breast” that was resistant to any known therapies. But most ancient texts had little to offer on the malady, and anatomically accurate descriptions of malignant tumors didn’t appear until the late 18th century. The likely reason that cancer is a relative newcomer in the historical record is that it most commonly afflicts those 65 and older, and for a long time, few people lived long enough for cancer to become a concern. Evidence for cancer has also been elusive in the fossil record, which preserves only a miniscule fraction of the bones of individuals who lived at any given time. Some researchers have sought answers in mummified bodies, where they could study preserved soft tissue. In 1990, for instance, autopsies performed on thousand-year-old mummies in Peru revealed at least one case of a woman in her mid-30s with a malignant tumor in her upper-left arm. The mass had grown so large that it likely burst through her skin while she was still alive. The practice of mummification only goes back a few thousand years, while the fossil record goes back millions. Now, Odes and his colleagues are highly confident that the hominin bone found at the Swartkrans site near Johannesburg holds the oldest known case of malignant cancer. 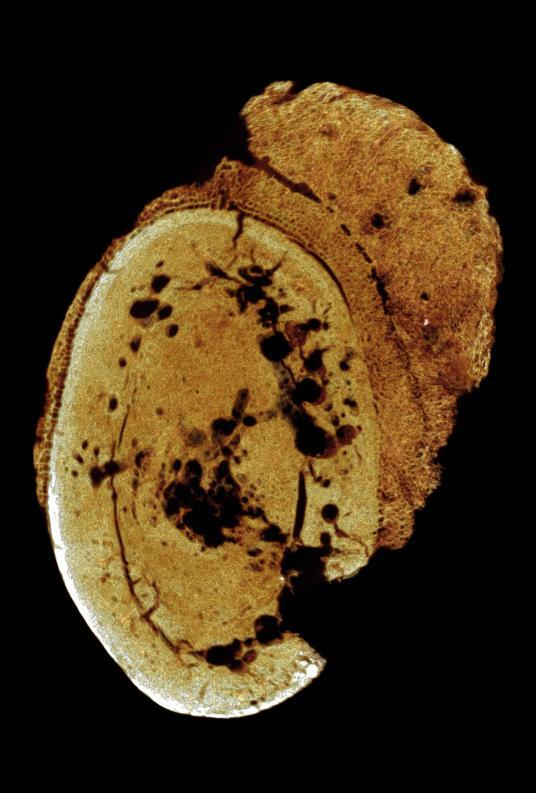 Using a method called micro-CT imaging, the research team studied detailed 2-D and 3-D images of the fossil’s interior. Images recorded the density differences within the bone and generated views of the fragment from all directions. The abnormal growth pattern of bone tissue—including a distinctive, cauliflower-like external appearance—led the team to diagnose the condition as osteosarcoma, which today afflicts mostly children and young adults. The fossil, a fragment of a toe bone from the left foot, is the only part of the skeleton that was found. It preserved too little information to determine which hominin species it belonged to, whether it was an adult or a child, or even if the cancer was the ultimate cause of death. One thing the scientists do know: It would have been extremely painful, affecting the individual’s ability to walk or run. In addition to the toe with the malignant growth, the team analyzed another, even older fossil with a tumor, albeit a benign one. In another study in the same journal, the team describes a growth in a vertebrae from a 1.98-million-year-old juvenile skeleton of Australopithecus sediba, discovered by National Geographic Explorer-in-Residence Lee Berger at a site called Malapa, a few miles from Swartkrans. Prior to this discovery, the oldest known benign growth was in the 120,000-year-old rib of a Neanderthal, excavated in Croatia. The scientists see the benign tumor found at Malapa as further supporting evidence for the existence of malignant cancer among our early relations. “A tumor is new growth of bone or tissue, where you have a sliding scale from benign to malignant,” says paleoanthropologist Patrick S. Randolph-Quinney, one of the investigating scientists. The team also sees their findings as an important reminder that cancer is a moving target. Our ancient lineage endowed us with genes that contain the capacity for cancer, but the disease manifests itself in myriad ways when we are exposed to changes in our environment. For instance, stomach cancer was more prevalent until the late 19th century, possibly because of carcinogens that had been in food preservatives. Today, colon cancer is on the rise, likely because of diets high in saturated fats. “The modern external environment is doing things to our historical internal environment that we’ve never encountered before in our evolutionary history,” says Odes. This entry was posted in Uncategorized and tagged Cancer 1.7M Years, Cancer In Early Hominids, GL-W, Greg Lance - Watkins, Greg_L-W, Pre Historic Cancer, South Africa, Swartkrans Caves. Bookmark the permalink.